An article from the Michigan State University Extension explained why making the change from incandescent bulbs to fluorescent bulbs can save energy, and overall cost. It also presents new issues. It is explains that environmental effects arise with fluorescent bulbs. This is because they contain small traces of mercury. Mercury is classified under the EPA’s waste disposal regulations. They require businesses to use companies licensed to properly dispose of fluorescent bulbs. It does clarify that small businesses, and households can dispose of their bulbs through landfills. 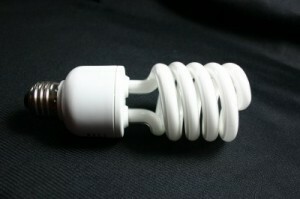 The EPA has a set of guidelines to follow if a fluorescent bulb is broken. This includes proper clean-up and disposal, as well as safety precautions. Click Here to read the article in its entirety on Michigan State University’s Extension website.